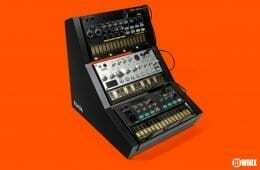 Native Instruments place in the evolution and digital revolution of DJing and music production is well established in internet lore. And they’ve created a series of videos to remind you of the role they’ve played in allowing VIP performers to deliver amazing music and performances. The purpose of these videos is to stimulate conversation about where DJing is going, and to get you started, NI travelled to Glasgow to hang with MK and to chat with him about how NI helped him become the DJ he is today. There’s also a competition to win one of five signed Traktor Kontrol X1s. Berlin, May 30, 2014 – Native Instruments today kicked off THE FUTURE OF DJING – a new video series featuring acclaimed international artists and how new technologies found on TRAKTOR products inspires creativity. Throughout the summer of 2014, THE FUTURE OF DJING series will highlight the artist, and how technological innovation plays a role in their performance. The first video features house icon Marc Kinchen aka MK, who’s musical career has given rise to some of dance music’s most iconic tunes. In this video, Marc talks about how technology has always inspired his DJing and fuels his concept of the ideal live DJ performance – creating a track from start to finish live while DJing. MK also shares his vision where a future generation of talented DJ/producers will be setting the new standards of DJ culture without ever touching vinyl or playing an instrument. Shot on location in Glasgow, Scotland on Record Store Day, the video shows Native Instruments spending the day around town with Marc as he talks about the evolution of the DJ/producer, makes an in-store appearance, and performs at the Lovelife Festival held at The Arches club. Marc is seen using the KONTROL X1’s multi-purpose touch strip to control effects, loop, and beat-jumping. The FUTURE OF DJING video series aims to kick-start discussions with artists, labels, and the media about the future of DJing. 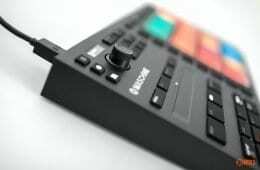 As an added bonus, Native Instruments is giving away five of the TRAKTOR KONTROL X1 controllers signed by Marc in the video. To win, people must leave a comment on the video’s Facebook post. Five winners will be selected at random. What is the future of DJing then? Obviously, we could write dissertations on this subject, and often touch on many of the issues in the content we do offer. For me though, the industry is in a state of “what do we do next?”, hence NI asking questions about the future. All too often, you can read strong opinions about what should happen, and it’s easy to take a handful of passionate people’s voices as the only ones, especially if their needs are very niche. So what is the future of DJing? It’s an incredibly open-ended question without any kind of criteria. Is DJing becoming a job that can be made easier to the point of automation? Is the future in the hands of the audience and what they need? Does the emergence of DJs as VIPs a natural progression or truly awful? 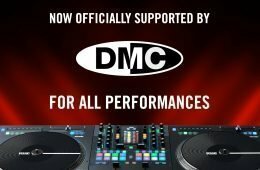 Do you want your DJ gear to do more wacky niche stuff, or just have gear that does the essentials and is still relevant in 5-10 years? Native Instruments are asking — now tell them. And us too. WHAT NEXT? : What do you want from Traktor Pro?